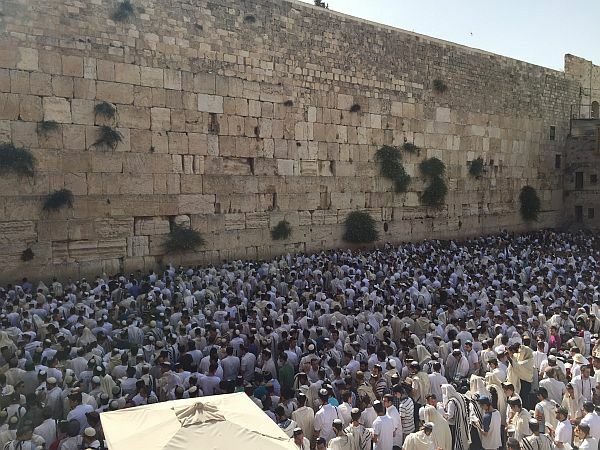 A spokesperson for the White House told JewishPress.com late Monday night that comments by a Trump administration official earlier in the day about the status of the Western Wall in the Old City of Jerusalem were unauthorized. The statement was reportedly made by diplomats from the American consulate in Jerusalem. The Western Wall, also known in Hebrew as the Kotel, is the retaining wall of the Second Holy Jewish Temple that stood in ancient Jerusalem. It is one of Judaism’s holiest sites, the other being the nearby Temple Mount, the site where both the First and Second Holy Temples once stood, and believed to be the location of the Temples’ Holy of Holies. Muslims built the Dome of the Rock and the Al Aqsa Mosque in the Temple Mount compound centuries after the destruction of the Second Temple, upon their having captured Jerusalem. President Trump will be in Israel for a two-day visit from May 22-23, during which time Israel will celebrate the reunification of her ancient eternal capital, Jerusalem.